Unlike Windows Vista, Windows 7 ships with Default Programs tool to help you make a program the default for all supported file types and also make a file type always open in a specific program. For instance, you can configure Windows to to always open .MP3 file in Foobar2000 program and .DAT files in Windows Media Player. 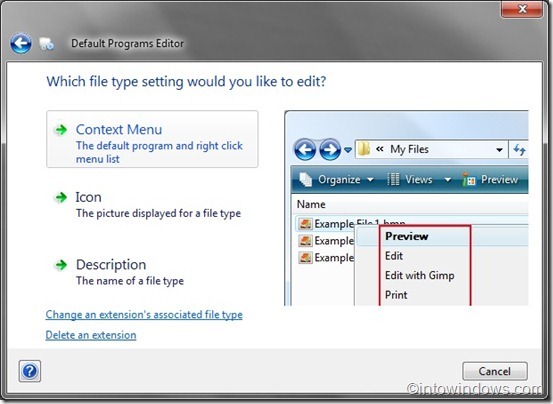 One can open the Default Programs tool by opening the Start menu and then clicking Default Programs. 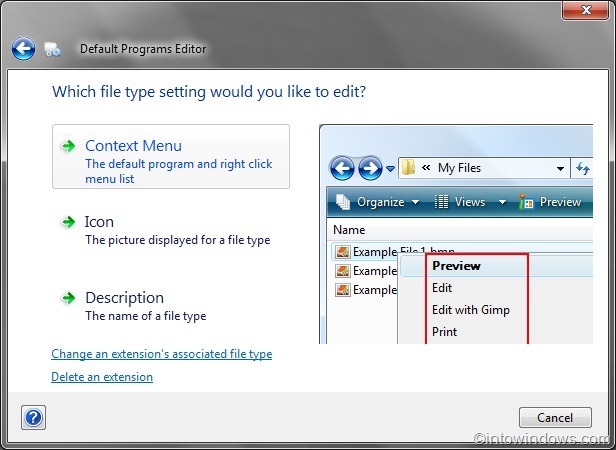 Vista users who need more options to change default file associations need to go for third-party programs such as the Default Programs Editor. 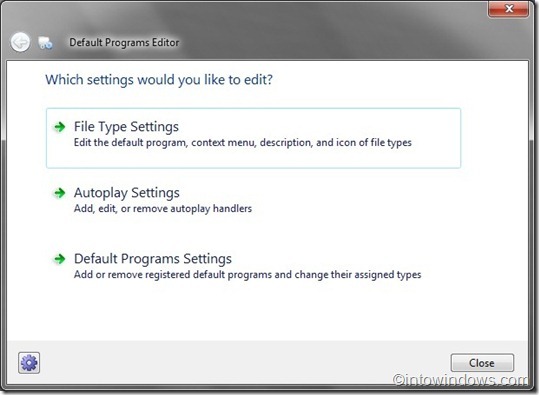 Default Programs Editor is a small standalone tool for Windows 7 and Vista to tweak context menu, autoplay and default programs settings easily. This program is very useful for Vista users as Windows 7 incorporated default programs editor and auto-play editor. As this is a portable utility it requires no installation procedure to get started. Download the program and simply double-click on the executable file to run it. Visit the below mentioned link to download Default Programs Editor. It supports both 32-bit and 64-bit systems. How to rename default power plan schemes in Windows 7 and how to delete default power plans in Windows 7 guides might also interest you.